Winter is the time for ice fishing in the north and soft water in the south. 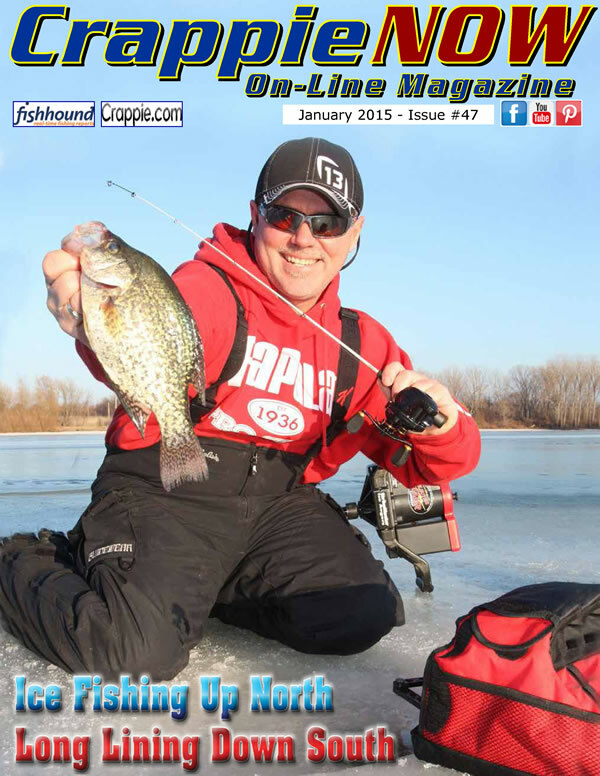 Read how to fish far north, south and everywhere in between in the January issue of Crappie NOW online magazine. Story & Photos by Vic Attardo Ice fishing is most often a white, blue and black world. The intensity of these colors can get a little trying on the eyes. Q&A What are the most common questions you get in your crappie seminars? Any odd questions? Brian 'Bro' Brosdahl- Minnesota, Bro's Guide Service, pro staff for Frabill, Northland, others. Winter is a great time for cleaning your tackleboxes. There is no one perfect system but this is what works for many heavy-duty fishing experts. By John Neporadny Jr. Organizing tackle in my boat has always been a challenge, but some manufacturers are making it an easier task. Lew's, a legendary name in tackle and a CrappieNow sponsor, along with another legend Hank Parker, have teamed up to carry the family fun of fishing message into millions of American households in 2015. If you are a CrappieNow reader you should know we have an elite group of outdoor writers. They are gifted writers and photographers, with fishing skills, and a desire to help you catch fish.